This thread is for discussion of VIPER related info only. Please Help by keeping posts on topic. Site added to the database. Thanks Mike! I listen to VIPER off Madison's Big Knob site and get TG's 3216,3280,3344. These are listed as Troop G District 2,4,&6 6 respectively off the RR database. Can anyone help me with the location of the different district #'s. Thanks in advance and Happy New Year. I looked at this link and see each county in WNC has a G-"X"#. So is the "X" number the district number. Yep. So Wake County is C-3. Which means SHP units are C3xx or C349 for example. Now let's get back to VIPER specific info. One of the License & Theft (old DMV) guys came into the shop carrying an EF Johnson portable with "NCL&TDIST4" on the display. It looked like one of the 5100 series radios, but I'm not positive. License and Theft is still in DMV and is the oldest state law enforcement agency. 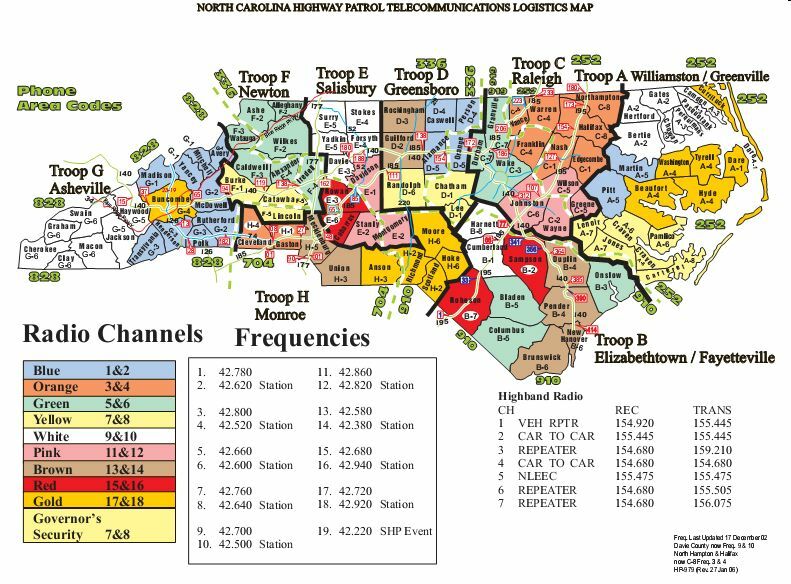 Yep, most don't use them and just say Troop Office/District Office on the radio, but they have them. So do troop civilian employees such as radio mechanics, car mechanics, etc. Just thought I'd drop a line on this one. Onslow County has some sort of VIPER capability apparently. A few weeks ago, I was monitoring a vehicle pursuit on the OC800 system when a SHP B3 unit was linked in on JPD Dispatch. Once I get my discrim tap to work, there will be substantial updates to the Lejeune and Onslow TRS systems! There's a much better than even chance that the SHP unit was actually on the Onslow talkgroup, not "linked" to it. 6352= NCNGTG1 (NC National Guard Talkgroup 1). Also keep an ear out on State Capital Police Talkgroups (Listed in database). Talkgroup 37168 active on several of the C92D sites near the SC border. Anyone have any idea what agency might be using that talkgroup? Sounds like LE traffic. I don't have this one in my listings anywhere. Brian- Please let me know if you get an ident. Please let me know if you hear any activity on these TGs.